A rash of mysterious sightings in the Sky from US – Russia & all the way to China, but what really are these large Phenomenon; Classified Space Crafts or UFOs? Go through the list of Videos below and decide for yourself, starting with a startling 2015 incident in Miami. What do you think Atlas Rocket Launch or UFO? The first video from CBS on the matter seems to clear up the Massive UFO Sighting and so does a video shot near the launch site. But the other videos, particularly the ones from foreign countries of the exact same type of event are striking and powerful. But lets go through the Video Evidence and you can decide: Human Space Ship or Doomsday Alien Invasion 2015? Here’s a quick side view as seen in the News Video, but the next two videos after that’s view are far more spectacular. Here’s some different views, still look like a Rocket or an Alien Invasion? 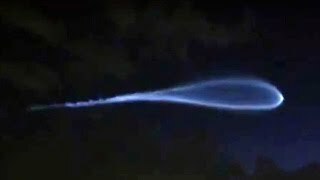 Is that an Alien UFO over Miami? Here’s Septembers Atlas V Rocket Launch full video from beginning to end, shot from Orlando on 9/2/2015. Something surely happened. Here’s two views in one video near the Launch Site of the Atlas 5 Rocket, and the people filming do not seem to caught off guard by it, in fact they are proclaiming different Rocket Stages the claimed Atlas V Rocket is going through. Could the voices be a Hoax or the real deal? Everything seems pretty wrapped up and all squared away till you view this Russian UFO Video from 2011. Here’s a Norwegian Sky Spiral, Russia claimed it was a failed Rocket they fired. Wormhole Stargate or Russia trying to hypnotize Norway?